Wake Up and Smell the Climate Change: Could Coffee be Going Extinct? Figures emerge in the distance through the fog settled over UCSD. They may move slowly, but don’t be fooled. They are ready to rip off the head of anyone who gets in their way. If you see one, run. They are college students in a world where coffee has gone extinct. Unfortunately, due to the effects of climate change and current agricultural practices, this apocalyptic world may become a reality. Arabica coffee makes up a majority of the world’s coffee production. Increasing temperatures in tropical climates where Arabica coffee is grown and vulnerability to diseases due to low genetic diversity has resulted in a decline of production of many coffee plantations around the world. By 2080, 85% of locations where Arabica coffee grows will no longer be suited for the plant . Arabica coffee originated in Ethiopia, although it is grown in tropical highlands around the globe . However, climbing temperatures and extreme weather in these regions has made it increasingly difficult to grow coffee. 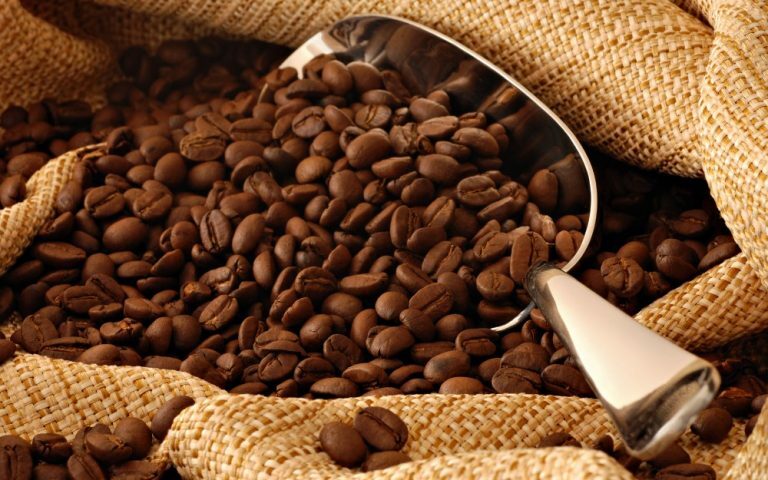 In a study published by Agricultural and Forest Meteorology and conducted in Tanzania, researchers found that every one-degree increase in temperature will be accompanied by a loss of 137 kilograms per hectare of Arabica coffee annually . For reference, this annual loss is approximately 60 percent of the average Tanzanian farmer’s production. Droughts have become more frequent as the earth warms. When soil moisture content is too low, crops are unable to grow and more irrigation is needed . We can already see the effects of this in Tanzania: in 2015, coffee production in the country was half of what it was in 1960 . On the other end of the spectrum, heavy rains have given rise to diseases that devastate coffee plantations, such as a fungus called Hemileia vastatrix, or Coffee Leaf Rust, that ravaged Central and South America. Because of the severe wind and rain, the spores of this fungus were able to spread across vast areas and were able to germinate far more frequently due to extremely high moisture levels. Further compounding the issue of diseases afflicting these plants is the lack of genetic diversity of Arabica grown in plantations. Plantation Arabica is known to have only ten percent of the genetic variation that exists in wild Arabica . This is largely due to how the plants in these plantations originated: one Arabica plant was sent from ethiopia to colonies around the world and grown. Furthermore, because coffee is grown in tropical areas that usually do not have the funds to research it, little had been known about the crop’s genetic makeup until recently . The startling predictions of future coffee yields resulted in a push to study the plant and grow more genetically variable versions of Arabica. Crop diversity is essential for plants to adapt to new conditions caused by climate change and for the maintenance of sustainable agriculture. In addition to potentially gaining resistance to diseases that have been destroying crops, genetic diversity could result in variations of Arabica coffee that can tolerate the heat, drought, and extreme weather; unfortunately, because of continuing unsustainable practices such as the use of pesticides and the limited number of parental lines that are used to breed Arabica, a lack of genetic diversity leaves the species vulnerable and unable to adapt . The devastating effects of climate change on Arabica coffee can be felt in our everyday lives. With increasing demand for coffee, particularly in the U.S. and the simultaneous decrease in supply of Arabica, the coffee industry experienced a supply deficit in 2016 , with Arabica priced at a high of $1.75 per pound . Even Starbucks has faced the challenges of rising bean prices, raising their own coffee prices three times between 2013 and 2016 in order to meet the demand while accommodating fluctuating prices . 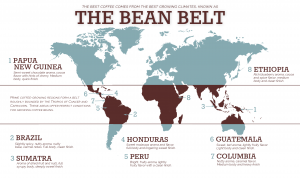 Countries that rely on Arabica coffee as their main export have borne the brunt of this force. As crops become wiped out by disease and the climate is no longer suitable for Arabica crops, farmers and those who depend on the coffee industry are left with no source of income. If climate change continues to go unaddressed, the economies of these countries could be left in shambles. Tanzania, Brazil, Colombia, Costa Rica, Ethiopia, Kenya, and other coffee producing regions are already feeling the pressure of climate change on coffee yields. 125 million people rely on coffee as their only source of income, and many of these people are the most marginalized in these developing countries. Because most coffee production occurs in these countries, they are the most threatened by decreasing coffee yields. To avoid this scenario, it is essential that the agriculture industry adapts to the changing environment caused by global warming. So far, this has involved moving coffee plantations to higher elevations with cooler temperatures and utilizing the temperature changes to open up opportunities for agriculture in other countries. 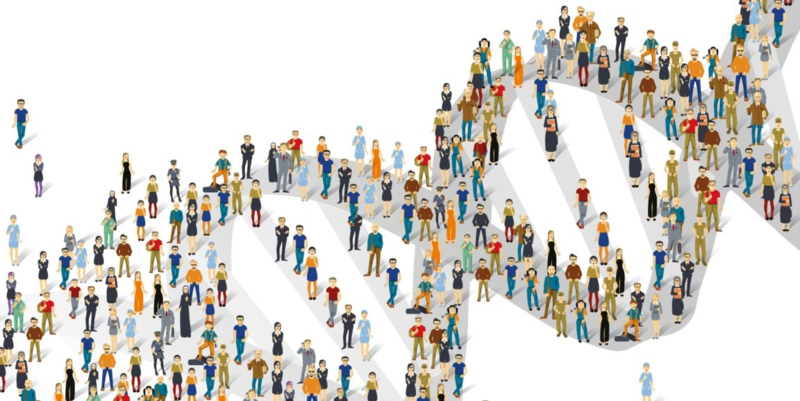 Researchers are also beginning to form a gene bank in order to improve genetic diversity in coffee crops as well as considering new varieties of coffee being introduced by breeders . While adaptive measures are necessary in the short term, preventative measures must be taken to make coffee growers aware of the threat of climate change and to reduce the rate at which it could affect agriculture. This requires research to be conducted by developed countries, the largest consumers of coffee, who have access to research facilities. 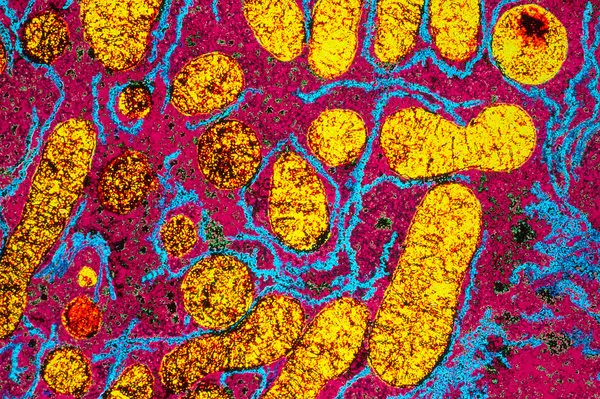 These countries could also establish partnerships with developing nations in order to build labs and train scientists in the countries that are most impacted by climate change. At this point, because little research on Arabica coffee exists, it is necessary to improve our knowledge of the plant if we want to save it. 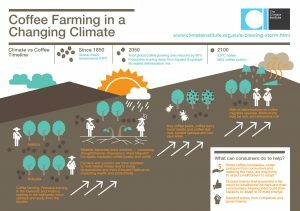 While climate change has often been thought of as an abstract issue that will not cause direct problems in our lifetime, its effect on agriculture continues to be felt around the world as food prices rise and countries that depend on agricultural exports no longer have the ideal farming environments suited for the industry. Although climate change is usually thought of as a culmination of large scale impacts, such as rising sea levels and mass extinctions, it also has the potential to impact our day-to-day life as well. In fact, your morning cup of coffee may depend on the fight for sustainability.